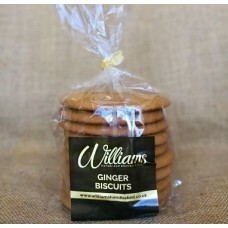 Sheldons are pleased to be able to offer a range of products from Williams Handbaked Biscuits & Cakes from their Bakery located in Preston Lancashire. Their products are lovingly made and packed by hand in their premises using only the best ingredients, sourced locally if possible. In addition we now offer Burtree Christmas Puddings, including their fabulous Gluten Free version. Their award winning recipes not only cater for differing palettes but also those with special dietary requirements. 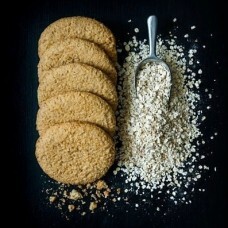 Each recipe is made in small batches, by hand in Robert and Lea Darling's very own farmhouse kitchen which guarantees an all-round, genuine flavour that can impress the most discerning of dessert connoisseurs. 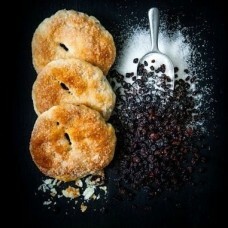 A feather light and crisp puff pastry shell, enrobing a moist and fruity filling of currants and sul.. 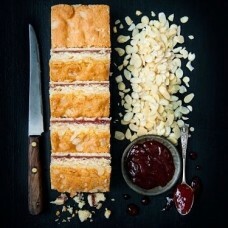 This classic recipe flap has been topped with a generous layer of milky chocolate giving it a creamy..
Also known as a Bakewell slice our Almond slice is a soft and moist tray baked filled with fruity ra.. 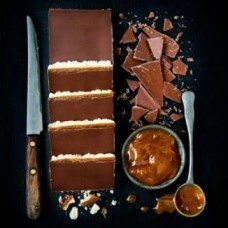 Comprising of a crumbly shortbread biscuit base and then filled with a soft gooey caramel filling an.. Fiery & lively our giant gingers are simply mouth-watering. You will find it impossible to eat j.. 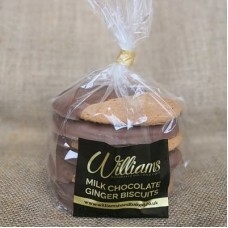 Dipped in our silky chocolate our ginger biscuit becomes even more irresistible. 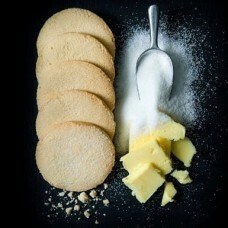 Perfect for dunking..
A wholesome biscuit that leaves you fulfilled with its soft and crumbly texture. 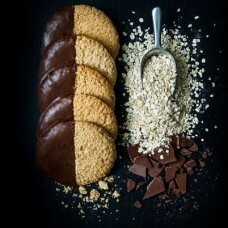 Not just another fo..
Half coated in a smooth velvet chocolate these sizeable biscuits are glorious. 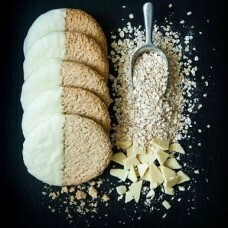 Made with jumbo oats ..
A version of our classic Oat biscuit this time half coated in a generous layer of creamy white choco..
Our Shortbread Biscuits ate light and crumbly, yet heavy in buttery taste. 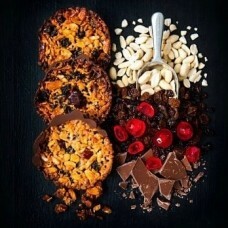 Following out traditional..
Our Florentines are a pure treat! 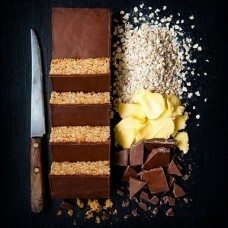 Packed with delicious ingredients every bite is beautifully differ..